A candidate who has secured minimum marks in the NEET UG-2018 shall be eligible for admission to the 1st year BHMS course for the academic year 2018-19. The Appellants to complete the process of admissions strictly on the basis of the merit by 15th February, 2019. The Managements of the colleges are directed to hold extra classes for students who will be admitted pursuant to this order to comply with the requirements of minimum working days. 2. G. Ratna Raj (dead) By Lrs. v. Sri Muthukumarasamy Permanent Fund Ltd. The Code of Civil Procedure, 1908 - Order 9 Rule 6 (1)(a), Order 9 Rule 13, Order 17 Rules 2 and 3 - Procedure when only plaintiff appears When summons duly served - Procedure if parties fail to appear on day fixed - Court may proceed notwithstanding either party fails to produce evidence, etc. - Scope of Order 17 Rule 2 and Order 17 Rule 3 of the Code. Since the defendants were proceeded ex parte and were found not to have led any evidence in the suit, the Court could only proceed under Order 17 Rule 3 (b) read with Order 17 Rule 2 of the Code for disposal of the suit by taking recourse to one of the modes directed in that behalf by Order 9 of the Code or could have made any other order as it thinks fit. The Trial Court did proceed to hear the suit ex parte by taking recourse to the Order 9 Rule 6 (a) in terms of Order 17 Rule 2 of the Code because on that day, the plaintiff was present when the suit was called on for hearing whereas the defendants were absent despite service of summons and accordingly the Trial Court passed 16 the preliminary decree. Such decree, in our opinion, was an "ex parte decree" within the meaning of Order 9 Rule 6 (a) read with Order 9 Rule 13 of the Code and, therefore, could be set aside under Order 9 Rule 13 on making out a sufficient ground by the defendants. Urban Land (Ceiling and Regulation) Act, 1976 - The original appellant (writ petitioner) never challenged the legality and correctness of the main order dated 14.03.2008 passed in the writ petition (10557/2002) but confined her challenge only to the order dated 16.12.2008 passed in the review application. 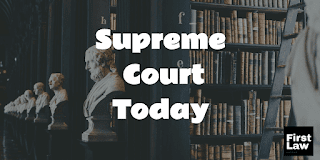 The original appellant did not assign any reason as to what prevented her in the last almost 11 years in not filing the SLP against the main order. No good ground to invoke extraordinary powers under Article 142 of the Constitution and permit the appellants (legal representatives of original appellant) to question the legality of main order. The Code of Civil Procedure, 1908 - Order 47 Rule 1 - Every error whether factual or legal cannot be made subject matter of review under Order 47 Rule 1 of the Code though it can be made subject matter of appeal arising out of such order. In other words, in order to attract the provisions of Order 7 47 Rule 1 of the Code, the error/mistake must be apparent on the face of the record of the case. 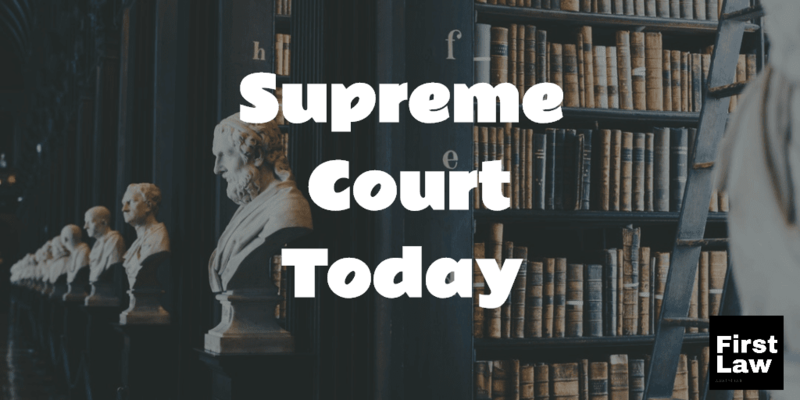 This appeal does not arise out of the main order but arises out of review order only and, therefore, we cannot examine the legality and correctness of the main order in this appeal like an Appellate Court. Once the finding was recorded by the High Court in the writ petition that the writ petitioner (original appellant) failed to prove her actual possession on the land in question on the date of repeal, such finding could not have been examined de novo in review jurisdiction by the same Court like an Appellate Court on the facts and evidence. The Income Tax Act, 1961 - Section 12AA - Registered Trust - Bogus Donations. The High Court has allowed the Writ Petition mainly on one ground, namely, that one bogus donation would not establish that the activities of the trust are not genuine. Such a reason assigned by the High Court is erroneous and runs contrary to the plain language of Section 12AA(3) of the Act. In view of the serious allegations made against the respondent trust, it is a matter for consideration of the issue, after giving opportunity as pleaded by the respondent but the High Court has committed error in entertaining the appeal against the remand order passed by the appellate authority, and in quashing the order of cancellation of registration. The order impugned is liable to be set aside and the same is, accordingly, hereby quashed and set aside. Service Law - Railway - Halt Contractor - Appointment of heirs and successors of deceased halt contractors - Merely because the respondent-original petitioner was permitted by the appellant-Railway authorities to work in the place of his ailing father, he cannot, as a matter of right, claim preference as an heir of contractor. Dispute relates to appointment of a halt contractor at the railway station. There are three types of railway stations, viz., Block Station, Flag Station and Halt Station. Halt station, is a station where signalling system is not available and train stoppages are controlled by railway time table. Halt contractor is a contractor who is appointed by Railways to sell tickets (printed card tickets) on commission basis and as per the terms of the contract. The father of the respondent-original writ petitioner was appointed as a halt contractor, but contract period expired in the year 2010. Thereafter, there was no renewal of contract either in the name of the deceased father or in the name of the writ petitioner. The father of respondent-original writ petitioner died on 05.12.2016. Though the contract in favour of the original petitioner expired in the year 2010, on request made by the respondent-original writ petitioner, he was allowed to sell tickets on behalf of the Railways. When the notification was issued inviting applications, he has participated in the selection process but when he was not emerged as a successful person for award of the contract, he has filed writ petition questioning the appointment of new contractor. The High Court committed error in directing to give preference and to appoint him as the halt contractor. Merely because, the respondent-original writ petitioner was permitted to act as a halt contractor on his request, he cannot be treated as an existing contractor. Administrative Tribunals Act, 1985 - Sections 5, 24, 25 - Whether the Chairman of the Tribunal, sitting singly and exercising his power under Section 25 of the Act, to transfer proceedings from one Bench to another, could have stayed proceedings before a two member Bench and rendered interim orders passed by that Bench inoperative. The power under Section 25 of the Act to transfer cases from one Bench to another is essentially an administrative power of the Chairman of CAT. Such power is to be exercised by the Chairman on his own motion or on the application of any of the parties after notice to the parties, and after hearing such of them as he may desire to be heard. The Chairman may, on his motion, transfer any case pending before one Bench to another without notice. The Chairman deciding the question of whether a matter should be transferred from one Bench to another cannot grant interim stay of proceedings, their being no power conferred on the Chairman under the said section to pass such interim stay. The Chairman, like the Chief Justice of the Higher Courts or the Chief Judge of subordinate courts, may be higher in order of protocol and may have additional administrative duties and responsibilities. However, the Chairman, acting judicially, is equal to any other Member. The Chairman, being one amongst equals, could not have stayed proceedings pending before a larger Bench.